Louisiana's Best Bet! 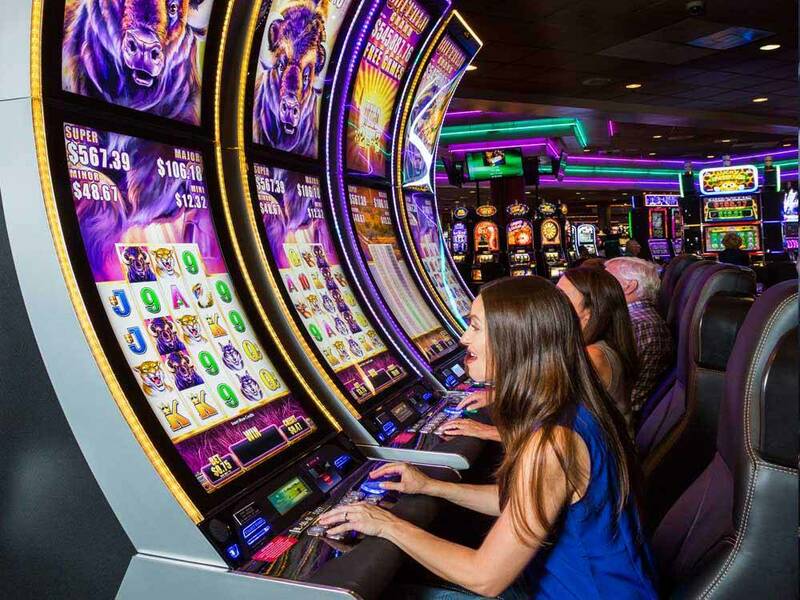 Enjoy over 2800 slots, 70 tables, ten restaurants, an RV resort with furnished chalets, two music venues, supervised childcare, an award-winning golf course, bingo, off-track betting and the Dream Pool! 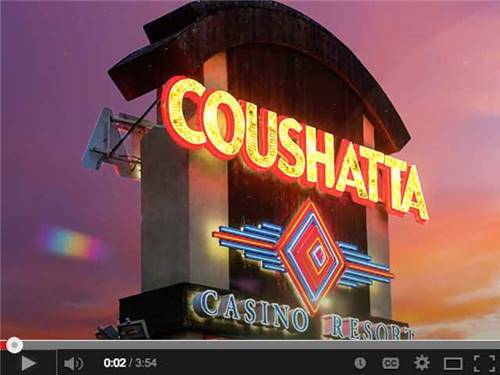 Furnished chalets around the lake with large deck, picnic table, air conditioning and TV, next to the largest casino resort in Louisiana. This is a nice RV Park. However staying on the weekends is not recommended. The park can charge up to $65 per night, so your good sams discount is minimal. The park will charge you $50 for incidents. Meaning if you break something at the park, you will loose the $50. Make sure you take a photo of your RV site after you pull out, to verify you didn’t damage anything. There are certain problems associated with staying here that I won’t go into. This park is not worth $65 per night. This will be the last time we stay and visit this park. Our first trip here and it was more than expected. The park is immaculate, as are the restrooms. I didn't check the laundry area. The pull thru's are easy to get in and out. Since it was a hot July weekend, the few trees made it a little hard to find shade. I would've also preferred a fire ring. Park is patrolled by tribe police each night. Shuttle service is a quick phone call away to go anywhere else on the property. We noticed ant piles and didn't want the little ones to get bit so we called and asked them to send someone with ant poison. Two employees were there within 15 minutes! Very quick response. We stayed here a week for Christmas to see relatives. East bound exit off I10 is just as you go over hill and a tight, right, dark turn, so beware and slow as you approach bridge. You must then cross 165 to make a left (very dark). about 20 miles north of I10. We arrived at night to check in. We were told the site number and given a map. The grounds were very dark and on some sites like ours the site post light and the hook up light didn't work. Passed the site and had to make a second go round. Notified maintenance and the said they would have to run a new line to get the lights to work. It would be sometime in the future. All pull through sites. The concrete patio area works for travel trailers but is way too short for class A. You have to walk throught the grass to get to patio. Shuttle bus to casino was nice touch. Wifi would connect but rarely could even use the internet. Park was less than half occupied so I don't think wifi would work if it was full. Big downside.... there were no campfire rings or grills. However, they had grills for chalet guest. It made us feel like second rate guests. The rates were different every night. Seems strange not to have one rate. Would we stay here again? Maybe, but will look for other locations as well. WOW! 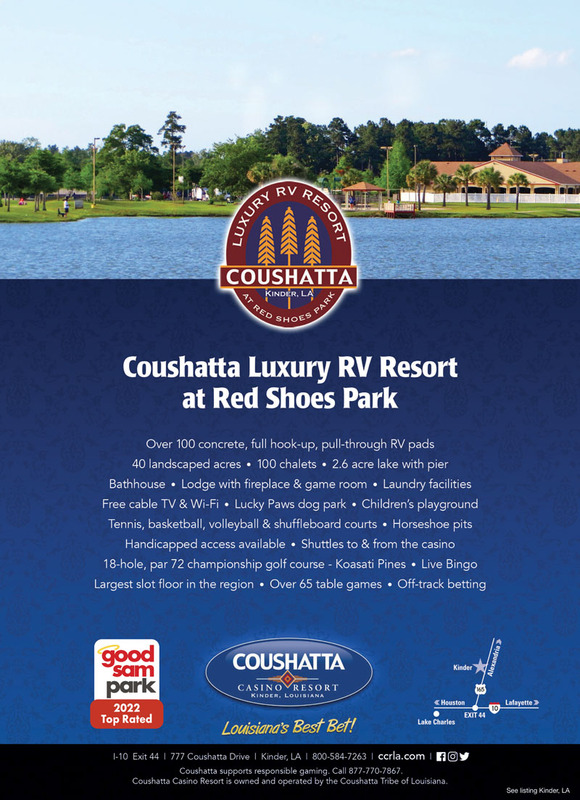 RV park has just about every amenity you could ask for. Sites are all pull through and long. Full hookup at each site. Even has a night light next to the site for night arrival. Bathrooms and showers are spotless. Casino runs a 24hr. shuttle for travel back and forth. Buffet is very good. Every Tuesday is senior day with the lunch buffet for $5.50 ea. Office staff very friendly and even allows you to wash your RV at your site. Dog park located behind RV sites and is large. Fishing is permitted in the large pond near the RV park. We enjoyed our stay and will return. We stayed here for the weekend. The park is very clean. Garbage bins are very convenient. There is a shuttle that runs for free and will pick you up at your RV front door. We felt very safe in the park and will visit again. Excellent facility BUT they allow people to act wild and play EXTREMELY loud music all times of the day and night, I will not be back! Very nice facility. Pull thru sites, not too close to each other. Fenced dog park was nice, plus large open fields (moved) to let the dogs run. Clean bathroom/showers. Free shuttle to Casino arrive minutes after calling... very convenient. in desperate need of shade trees. other than that everything is A+. Good Dog park. Great price and very nice park. Beautiful club house with pool tables, swimming pool, covered patio area near pool. Bus service to door of casino. Free continental breakfast at clubhouse. This is a great place to stay if you are looking for a safe, quiet facility to spend the night. The casino is really smoky and awful, but the restaurants are okay and the hotel/pool facilities are really nice. The price is very reasonable. One word of caution. Stay on I10 and approach the RV park from hwy 165. Most of the side roads in Louisiana are really bad and there are no good shortcuts, even if the traffic on I10 is bad.